Earrings, like necklaces, can amp up even the simplest outfit as long as it is properly coordinated. Most importantly, however, a beautiful set of earrings will draw eyes from the outfit to the face, which is absolutely the most important physical feature for anyone. So, why not frame it properly. First, consider your face shape. A round face is beautifully elongated with long drop or dangle earring. A long and narrow face is enhanced with short dangles, hoops, or studs. For a more squared face, select medium to long earrings with rounded edges, ovals, and hoops. A heart shaped face where the forehead is wider than the cheeks, chandeliers and tear drop earring work best. Next, consider the bone structure of your face for the size and weight of earrings that work best. This is easy. For a small, finely boned face, consider more delicate earrings. For medium bone structures, use medium sized earrings. For a larger bone face, it is best to use larger styled earrings. Other considerations include your skin tone - for warm undertones like yellow, peachy, brown, bronze and black, wearing gold and copper colors may work best. If you are more pink, silver and pewter colors are great. 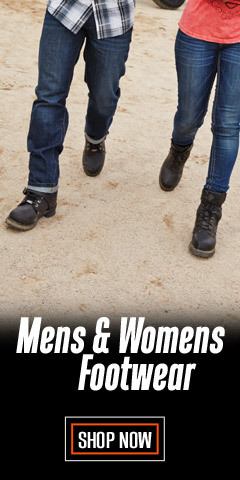 Thirdly, the style of your ensemble is worth considering, too. For ultra-feminine clothes, earrings with curve details are good. For downtown chic, earrings with straight edges, squares and triangular shapes work well. For a classic touch, small hoops and studs are a good choice. If you want to go natural or neutral, keep it small and simple, barely noticeable. We have a variety of styles and designs right here, including the Chandelier, Drop, Dangle, Hoop, Huggy, and the Stud (Post) style. With nearly 60 different pairs of earrings from which to choose, we’re sure you will find something you love and that will enhance your face. 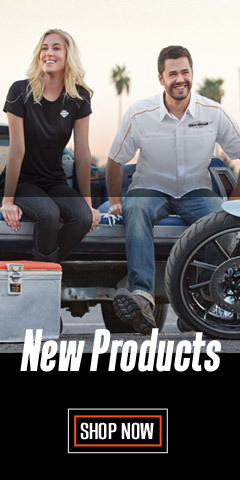 Harley-Davidson® and MOD® Jewelry are well-known for high-quality craftsmanship and innovative designs. 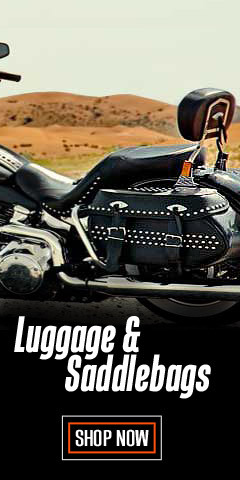 Harley® and MOD® designs focus on Harley-Davidson® art and logos, including the Bar & Shield® logo in various forms, like the silhouette, or the silhouette filled with crystals. There are Bar & Shields® embellished with filigree tracery, enclosed in hearts, some that dangle, and some that dangle with eagle wings, to name a few. 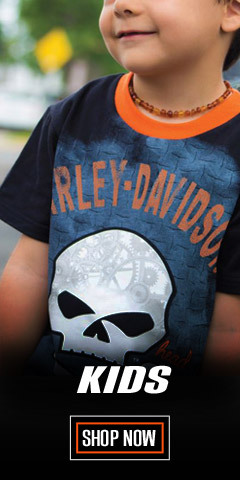 These creations are made by MOD® Jewelry Group under Harley-Davidson® license. 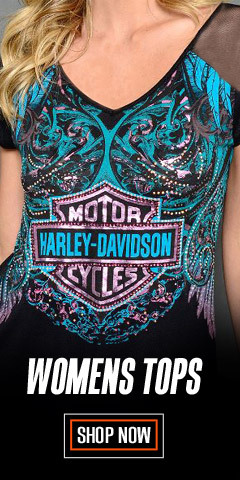 MOD® is the standard bearer for fine Harley-Davidson® jewelry items for women. You are sure to find a pair earrings that suits your outfit and frames your face for any occasion, whether it’s at work or an evening on the town. 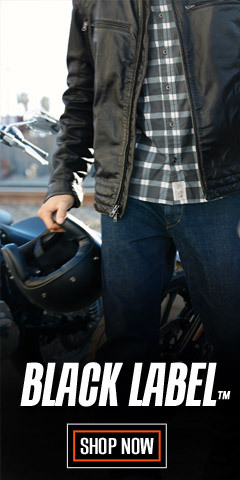 Play it safe and shop WisconsinHarley.com.